I can’t believe its been nearly two months since I last blogged….Life has been a rollercoaster of a ride for my family and I, and I actually don’t know where September went. Most of it was spent in the hospital visiting and spending time with my dad. He’s been extremely unwell since we arrived home from our trip to America in August, but he’s FINALLY on the mend, albeit very slowly. Work has also been crazy, we went away to Cornwall the last week of the summer holidays, and the day I returned was the day everything went down hill. Since then, preparing my charge for preschool and afternoon activities, has made the days, and weeks, mould into one. Along with many trips to the hospital and weekends spent keeping my dad company, with mum, I find it quite overwhelming at times to continue with my work life and marathon training. I struggled with a few of my runs, ending in tears and thinking many times about pulling out of the marathon. I had to keep reminding myself that running is my passion, not my career and if I missed a few runs, it wasn’t the end of the world. I’m pretty hard on myself, and very dedicated to my training, but I knew I had to pull myself back and think realistically. As the weeks have continued, Dad has gotten a lot better, and we’ve managed to settle back into normal life. 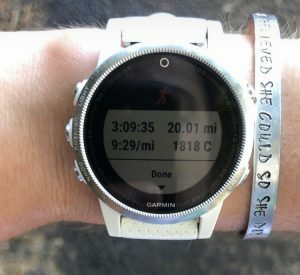 Training has continued to go well and last Saturday I ran my longest run – 20 miles. It went really well. I started off on my own, running the first 8 miles to a friends house and we finished the final 12 together around the pretty country lanes. It was great to catch up, as its been months, and it made the miles fly by. Although admittedly, the last two were extremely hard and I wasn’t sure if I wanted to cry, vomit or lie down at the end! I feel like this run gave me a confidence boost. I was really nervous, as the last 20 miles I did was for London, and lets just say it didn’t go too well…I’ve also really enjoyed this weeks training, even getting up at 5am to run 800 meter repeats (mad woman, I know), I’ve felt good. I’m determined to give the next 2 weeks my all, and even though I’m nervous, I’m very excited to run my second marathon in just over 2 weeks time. I hope you’ve all had a good week and enjoy the weekend! 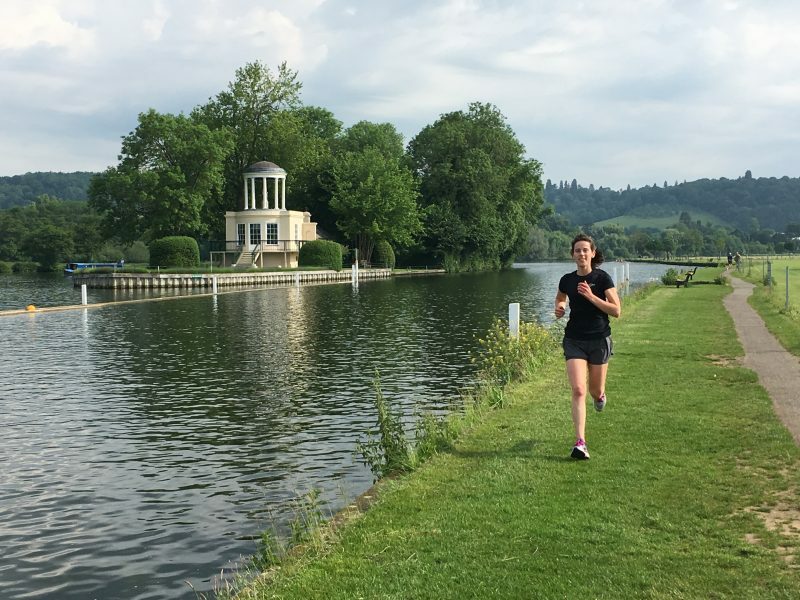 My brother is home from university, with his stinking cold (insert eye roll), I get to spend time with family and am running the Henley Half on Sunday. Hope you all have fun weekend plans, running or spending time with loved ones. Enjoy! Next Post One week to go….